Using search tab you can search for a particular SKU to view the variance. In the above example, the variances for SKUs "onion" tagged as "vegetables" are displayed. 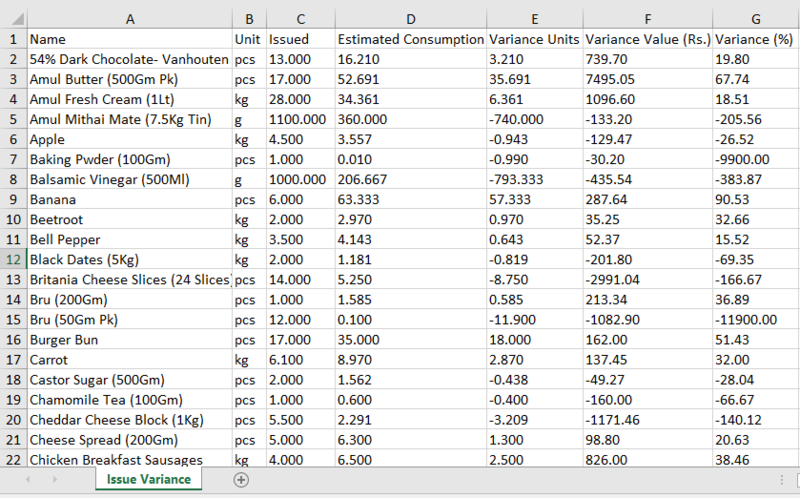 Click Export button to export the variance report. You can also use combination of filters from dropdowns and search tab to export a report for filtered options.